Gold Coast Building and Renovations are passionate about creating a house that feels like a home, and for most homes the heart is the kitchen. Designing a kitchen that is sleek in design yet also practical is our expertise. Our team will work with each client to find out what is important to them, what is practical for one family is not always for another. A kitchen is an investment and one that takes careful planning. Designing and building your kitchen with Gold Coast Building and Renovations is an effortless process. As we are a building company we complete every aspect of the renovation for a blissful experience. We work with you every step of the way from designing the joinery to selecting the finishes. Adding a splash back window, changing walls to create a butlers pantry, plumbing and electrical works, we complete it all, start to finish. Gold Coast Building and Renovations are experts in creating designer kitchens on a budget. Careful planning and strategically spending is the key to creating a luxury feel without the luxury price tag. We design mid to high range kitchens of all sizes, all joinery is custom made to fit your space and budget. This allows the design opportunities to be endless and to have your kitchen tailored for your needs. The laminate options are countless with new products being constantly introduced to the market, the popularity in timber finishes is growing and the realism of some of these finishes is incredible. The option of using two different colours in the joinery is a clever way to add interest and ‘design’ without any extra cost. Modern kitchens tend to be handleless and have the use of finger pulls to give a clean streamlined look. There is now a need for fingerprint proof technology in the laminate for matt finishes to save on cleaning time. Tap ware, and now sinks, are available in a range of colours, not just the standard stainless steel. Black stone sinks have made a large impact in the modern kitchen, if you want to make a statement there is always brushed brass, rose gold, gunmetal and gold. 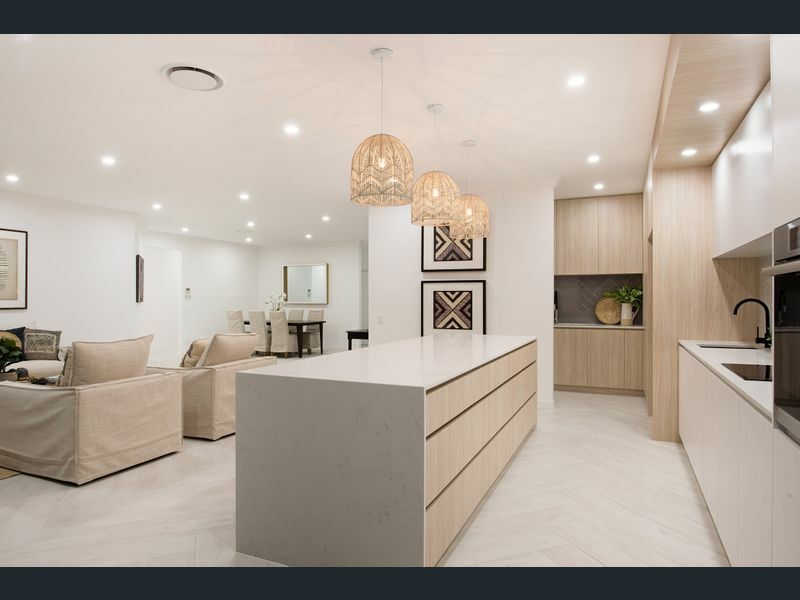 Contact Gold Coast Building and Renovations for a quick estimate on your kitchen renovation, simply provide the dimensions of your space / kitchen and we can provide an estimate on a mid range and high range kitchen. Attach any inspirational photos or any other details that will give us a guide in the style you would like to achieve so we can provide a tailored estimate. From the estimate we will then discuss all options with you to provide a fixed quote. Gold Coast Building and Renovations pride ourselves on being completely transparent and keeping to the clients budget. We provide a fixed price noting all the included finishes, allowing the client to know exactly what the kitchen renovation will cost before the renovation starts. View the gallery below to see some of our latest projects. Contact us today to start the design process of your new kitchen.